Colin Jones followed an unusual path into photography having been a dancer with the Royal Ballet until his late twenties. It was among his colleagues in the company that he began to take photographs and through dancing that he learnt of the tremendous physical labour involved in creating something of beauty. While on tour in the north of England he began to take pictures of the mining communities and it was not long before he had given up dancing to begin his new career, landing a job at the Observer alongside photographers such as Philip Jones Griffiths and Don McCullin. 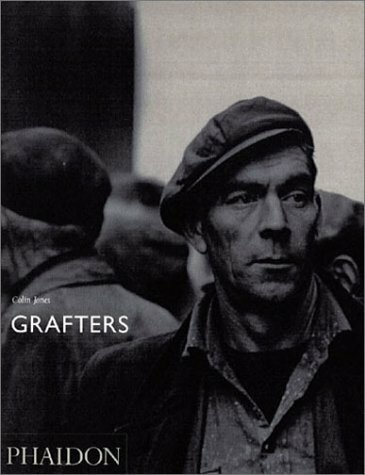 Colin Jones's subjects are working people: miners, shipbuilders, dockers - and dancers. This book comprises Jones's best work from his full career to date. Timeless and beautiful, it is an emphatic tale of industrial post-war Britain, and a moving portrait of poverty and physical hardship endured with dignity.